This is a simple guide that contains various ways to reach your target audience. Read through each step and see how many of them you can incorporate in your regular outreach plan. WHEN IT COMES TO GROWING YOUR BUSINESS WITH A LOW BUDGET, IT REQUIRES CREATIVE THINKING AND MOST IMPORTANTLY SOME STRATEGY. For most business owners, the idea of growing their business online may seem costly from afar and it may scare them. This reasoning is obviously justified as a lot of big companies are constantly advertising and covering a lot of internet space. So, how to do you compete with the businesses who has the man power and resources to get out there and be in front of their target market. The answer is simple, you have to put in 10X the efforts. Marketing is an important component to any business’s growth. Marketing does not mean just spending money on ads, it means helping your target market, solving problems, reaching out and engaging with them whenever and where ever you can. Thousands of companies are advertising their products and services, they use the paid medium to engage with their audience. But with all these free sources of traffic available to us we can do the same with a shoestring budget or even no budget at all. If you’re looking to grow your business while providing some genuine value to your potential and existing customers, reaching out to your audience and building relationships is the smartest way and may be the best option for you. In today’s standards, customers need to be able to trust your brand before making any purchase decisions or even for them to consider you as one of their options. "Before you jump in to the list, one thing that is essential for any business to grow is that always try to help someone, always create value, server first, give them something extraordinary for free. Don’t try to sell right away, if you create value consistently money will follow." For a lot of us the thought of networking may be scary. However, it’s important to realize that networking can help you get tremendous exposure while helping your brand grow. There are a lot of other ways to do this. Make sure to carry your business card with you. You will be surprised how many times a simple chat while talking to other individuals like us can give us amazing ideas. Meetups has been around for some time. In recent years, there’s been a lot of activities where new entrepreneurs and business owners get together over at some coffee place or business venue to discuss potential synergies and to find ways in which they can work together. There is a lot that you can achieve by attending a meetup or joining one that is relevant to your business. Sometimes, it’s wise to consider yourself as a “complimentary” service instead of focusing on your core service so that there is less conflict in these meetups and that it helps other business owners understand your value proposition. 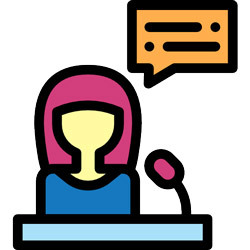 Depending on your niche and industry, there may be several events that permit speakers to join in order to address their audience. Sometimes, they even allow you to sponsor these events for a small fee which generally increases brand awareness. It’s important to focus mostly on providing value as the audience that you will be addressing are often not familiar with who you are or what you do. And, for you to get the maximum benefit of the speaking engagements in local communities, the best suggestion is to think about how you can add value to that community for their local needs. Sometimes, they may ask you to help in organizing events or volunteer in some of them so that at least you get the idea of how these events are put together or how they work. Perhaps, once you’re comfortable at a certain point, you may want to consider putting together a local event yourself with sponsors or speakers who have already participated in the same events as you have previously. There are literally hundreds of messaging boards out there. And, all depending on your business and niche, it can provide great value and give you potential customers if you position yourself right. It’s important that you understand the rules and procedures of these messaging boards. Some of them don’t allow you to advertise your business so you have to be careful. This strategy may require a combination of two elements. The first is to be able to provide value by participating in discussions actively and the second is to reference those who are asking questions or looking for answers to reliable information and sources. By doing so, you’ll eventually build up enough credibility and authority within those messaging boards to be able to ask the board moderators and admins to consider placing a link back to your website or business. This way, the approach of “giving first” was taken into consideration. Nowadays, customers search for information prior to making a purchase or in order to help them solve a problem. Those businesses who are actively posting on blogs and publishing their content are attracting a lot of visitors to their websites. Thanks to the internet and for the opportunity to be able to share content openly, it’s important that whatever information or post you share be genuine and provide true value to your potential customers. It’s not uncommon to see a potential customer frequently return to your blog to read almost all of your posts prior to them contacting you. By understanding a customer’s life cycle and what stage they are at, your blog posts can address them effectively. The content that you share, depending on the lifecycle of your customers can either convert them into a lead or sway them away from your website. A lot of times, businesses end up advertising themselves on these posts instead of addressing a customer’s needs or wants. This is dangerous as it can potentially hurt the reputation and credibility of your business. Therefore, whenever you’re considering starting a blog or writing, take the time to learn about your potential customers and how you can provide value to them through the strategies, tips or tactics that you share. Share articles on stumble upon it really works. Share article links with Muzli and Webdesignernews. When writing article for Medium, which is a very popular way of getting more eyes on the article use this strategy. Create a piece of content that relates to any other important and detailed blog post on your website. Write a brief article on Medium and continue it with a link to your website. Quora has become increasingly popular over the past few years. Many entrepreneurs and top contributors are actively answering questions on Quora. The site has millions of visitors each month and it all starts with a question. For business owners, Quora may be the ideal spot if they’re looking to grow credibility and increase popularity about their brands. Generally, the questions vary. Some questions may be very generic whereas at other times, the questions can be very specific. What’s important is that you follow your niche and the sub-topics within that niche. This way, you will explore many discussions and questions that you may potentially be able to answer. Doing so, you’ll develop a long-term follower list and people have the opportunity to “upvote” your answer giving it instant credibility. Go to Haro.com and create an account. The program was launched by the company Cision US. 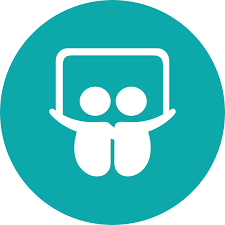 The purpose of HARO is to connect both journalists and sources into a single platform. The cost is free to sign up if you’re a source and you have the option of choosing which industry you’ll be providing information for. There are so many benefits to becoming a source at HARO. First and foremost, it helps you get your brand out there and gives readers the opportunities to explore your business. This is done by having links go back to your website depending on which media outlet is featuring or covering the story. In most cases, HARO sends out three emails per day. One in the morning, one by noon and the last one is in the evening. This allows business owners to reach out to those journalists based on the queries in those emails so that they may provide value and information that is deemed credible. Ask your customers to share and tweet your content whenever possible. Create contests, CTA and lead capture techniques to get more shares on social media. Given that you have shared a lot of useful content online such as tips, tricks, useful data and research material, infographics and recipes, the best way to get your ideas and useful resources more notice is not giving away everything for completely free. Something you can ask your audience to share it of they like it, whereas some times it can be a lead magnet and you can give them the material in return of a share or a tweet. There are several plugins that do that in WordPress and if you are using any other platform than there is other stuff. Though this might seem obnoxious to you at the first thought if you are just trying to make some money. Remember to get customers you need to create authority and to create authority you need to help people without your personal interest. Do something that does not incurr you loss, but is tremedously helpful to your existing customer or a possible client. Once you’ve earned their trust, you can offer them something with confidence. In this new day and era, those who give value first are the ones that will attract long-term businesses. Customers who see businesses giving first have a tendency of feeling more comfortable dealing with such businesses as they feel that they are more sincere and are more committed to their needs. When it comes to Facebook, it’s easy to find a Facebook group based on your local community. This is very helpful when it comes to participating in events, joining group discussions or making recommendations. There are many groups that you may potentially join if you know where to look. 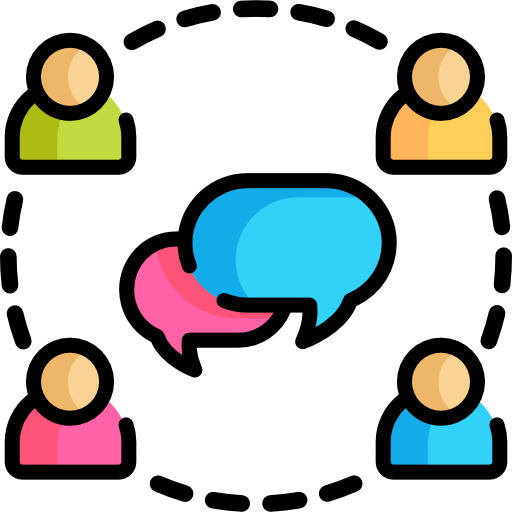 Community groups have active members who regularly share information, messages, videos, content, and so much more with the rest of the group. This allows people to share their experiences with the group. It’s also a great place that you can learn about your local customers and what their pain points are. As a business owner, it’s important that you join these groups, participate in their discussions and once again, try and add value where you can. Overtime, the members of those groups will begin noticing you and most probably like and share your content if it satisfies the group’s philosophy and objectives. For most business owners, the thought of creating and sharing videos may scare them. The idea of just being in front of the camera makes people nervous, especially the fact that you have to share it on YouTube where potentially millions of people can pass by your content at any given time. It’s important to dispel that fear as nowadays, everyone is creating videos and sharing it on YouTube in order to create a good subscriber base. What’s even more interesting is that informative, compelling and educational videos create a greater impact to viewers. The better the content on YouTube, the higher the likelihood that viewers share it on their other social profiles such as Facebook or Twitter. Videos also keep viewers engaged longer than other content. If your business creates interesting videos that are easy to understand and provides value, potential customers will like it and they may end up converting into leads. The fact that it’s free and costs you nothing out of pocket to record and share a great video on YouTube is a great incentive to get it done. Businesses who offer complimentary or free services to help add value to their client’s lives will succeed in growing and prospering their companies. Nowadays, everyone’s after the customer’s money without really thinking of how to create an everlasting impact with the same potential customer. Offering free services does not make a business look weak or desperate. In fact, it may be considered a sign of strength if you demonstrate your ability to get the job done and provide them with enough value throughout your free offer. What’s important is to make sure that customers will get real value from your services. Don’t treat this like a marketing and sales scheme but rather an overall effort to build relationships with potential customers. Once customers begin to see that you’re looking out for them and their wellbeing, there will be a large shift in their behaviour and they will most likely want to do business with you. If done right, you may even be able to request referrals from them which would cost you nothing to do. In order to build credibility and authority in any niche, most professionals and business owners end up writing informational and educational blog posts along with different types of content. However, those who make the most impact are those that write short-form Ebooks that are packed with value. 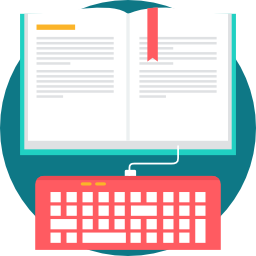 Customers who come across a well written short form Ebook are already well converted leads. This is because of the fact that in order to read your book, they must already be genuinely interested. It also becomes easier to discuss about your products or services with them since they’ve already established a sense of respect towards what you do. Another great way that Ebooks can help is the fact that it opens up speaking engagements for you and your business. Seeing that it takes time to create, write and publish an Ebook, most customers will automatically respect you for contributing to your niche. There are hundreds of niche relevant forums that you can sign up and join. Depending on your industry and expertise, most of these forums are packed with potential customers who are seeking expert advise and help. In most cases, customers will either start a thread or discussion where other experts attempt in answering the questions of those customers. It doesn’t take much to be active in forums as long as you find it to be worth your while as a business. Forums may also give you inspiration and ideas on how to creatively structure products or services that are currently in demand. For example, participating in a forum may lead you to finding out that customers would like to see a difference in a particular type of product or service where you are uniquely positioned to be able to do so. This is a great way of improving and marketing yourself which goes in line with providing great value. order for you to be able to capture those searches and turn them into web visitors, your website content must be optimized so that search engines may refer to it and give it a decent rank position. Once you begin noticing a spike in traffic, you should focus on optimizing other areas and pages of your website so that you create a series of funnels that drive organic traffic back to your website. Since searches are happening everyday, it’s important that you focus on highly targeted keywords. This way, when customers are looking for a specific product, service or are simply looking for an answer, you’ll be positioned to provide the solution to them. Upon having build a successful list of customers that you’ve serviced, it’s important that you consider creating a series of case studies. These marketing assets help potential customers understand what problems you have solved and how you came about finding those solutions. Because they provide your potential customers with in depth information about existing customers who were at the same situation as they are now. They may relate and feel more comfortable in dealing with you at that stage given that they know you will be able to handle the task. Case studies are also great marketing assets which can be used to educate and inform potential customers about the different challenges and obstacles that your product or service can provide. They may also provide clarity to upcoming customers about issues that are not yet present for them but may become an issue in the future. Slideshare is a great site where you are able to share powerpoint presentations and professional slides that pertain to your business. Due to the fact that it’s easily integrated with LinkedIn, which traditionally carries a more professional crowd, the exposure you can get is certainly worth it. If you’ve written some articles or posts, you can easily convert those into slides with captivating images and share it on Slideshare. By doing so, you are diversifying your content base and are looking to attract different types of web traffic. Another benefit of Slideshare is that your content can be syndicated. If your slides are attractive and provide great value, a lot of people will be able to share it with their networks and in turn, can become viral fast. For a lot of business owners, starting a facebook group would make sense. Especially the fact that your customers can join and interact with you directly in that group. Traditionally, companies used to have Facebook pages where customers can like and share their content. In order to meet current customer needs and demand, a Facebook group is the ideal solution. This would allow your existing and potential customers to engage directly with you, interact with other clients as well as give feedback in terms of what they feel about your products or services. 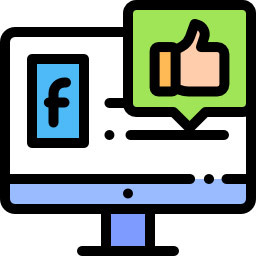 Using a Facebook group for your business, you are able to track how effective your business really is while allowing your customers to voice their opinions. An important component of this is to ensure that you’re constantly monitoring your group and are answering questions on time. Some businesses forget to answer or are not responsive which makes their brand look bad. You want to ensure that you’re providing top of the line customer service. Looking at how the social media world has changed marketing, LinkedIn has brought in some significant impact when it comes to businesses. LinkedIn is known to provide superior ROI when it comes to generating leads and converting customers long-term. Generally, people on LinkedIn share content regularly based on what they are inspired by. At times, several people may share the same content without even knowing it. This greatly impacts the way search engines look at the social relevance and importance when it comes to content strategy. A great way of making an impact when it comes to LinkedIn is to share content that is related to your business. You may want to consider starting a LinkedIn group where you invite potential customers and clients to join. This may be similar to a Facebook group but can gear towards being more technical and to keep it under a professional standard. 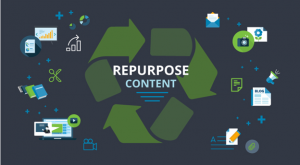 If you’re regularly publishing content, it’s important that you consider the idea of repurposing it. In simple terms, you’re going to be taking your existing content and creating newer versions of it, while keeping the context the same. A good example of this can be that you have written a great blog post and you’re now looking to drive traffic to it through various sources. To do this, you can consider taking that post and creating a slideshow where you can share it on Slideshare for example. Or, you can take the post you’ve written and create a Podcast episode so that you attract different types of audiences. In the world of marketing, the more frequency you have with your brand, the better the impact of that brand to your potential customers. If your repurposed content gets distributed and syndicated by different groups of people through different forms of websites, including social media, it will increase brand awareness and help you drive more traffic to your business. Not to mention all the great search engine ranking benefits you get by doing so. Click on the link below to read a blog post from contentmart.com on repurposing your content. If you write regularly, you’ve probably tried to write for others to get more exposure. The same can be said about some experts in your industry. By allowing them to write on your website or blog as a contributor, they add value to your brand and demonstrate their expertise through your platform. Some business owners may not like this as they feel that someone else is promoting themselves on their website. However, guest posting doesn’t have to be promotional. It can be strictly educational and information driven. The author may simply put his link on the bio and focus strictly on delivering value throughout the content. This shows credibility and keeps new visitors coming to your website. It’s also common to see those same contributors who have written on your website to share the article or post that they wrote with their social networks, friends, associates and families. Overtime, this will help not only increase your traffic, but also give you good branding as well. 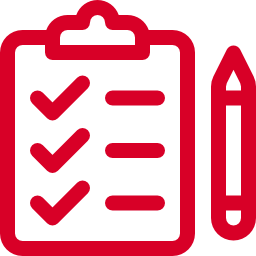 A checklist may be a great way of converting website visitors into leads if you do it right. As a business, you may have some helpful tips and strategies that you would like to share with your audience. Perhaps, you would want to consider putting those helpful tips and strategies into a nice checklist where you can give it away to your customers in exchange for their emails. This will allow you to collect leads long-term while helping you build a relationship with your email list by giving them more value long-term. Businesses who take care of this strategy properly will grow their brand and be worth a lot more than those who don’t practise this essential strategy. Customers who get helpful well defined tips and strategies will be more likely to share your content with others in their networks. This automatically will drive more traffic to your website will once again increasing your brand awareness. As more and more visitors come to your site, the more likely that they will convert into leads if your marketing funnel is set up right. And, there is no cost of getting it setup properly. Services like Mailchimp offer email services for next to nothing. In the past, a lot of internet marketers were optimizing their content by simply stuffing their articles and posts with keywords. Overtime, the search engines began to notice the manipulation and began to penalize almost all of their sites. The reason is justified. Customers who were looking for answers to their questions wanted something reliable and of value. As a lot of marketers manipulated the search engines, customers use to go to these websites only to find the content quality really poor, which in turn, prompted them to leave almost immediately. This gave those websites huge “bounce” rates. Meaning, the time they actually spent on the site was very low. This can greatly affect rankings as search engines want content that provide value while allowing website visitors to interact with it. Such interactions can be that they are reading the whole post or are clicking on reference links that provide additional value. If customers stay longer on your website because of the quality of your content and its added value, the more likely that search engines will rank your business website higher. You can find a lot of Q&A sites all over the internet. What’s important is that you identify how much visitors each of those websites have and how likely it is that you’ll be able to drive traffic back to your website. The type of customers you will find on those websites are hungry for knowledge and are looking for solutions to their problems. If you’re able to participate in relevant question and answer sites while providing real and genuine value, you will increase the amount of visitors you get to your site. In addition, customers will begin to share and endorse your answers. This will increase your brand awareness through those Q&A sites while giving you positive and value driven exposure, something that every business needs if they wish to survive on the internet. More importantly, there is no cost of doing this. If you can dedicate a few hours a week to stay active and answer some questions, you will have contributed towards your marketing objectives wisely. essential sharing plugins so that customers can interact with your content and so that they can share it amongst their networks. What’s important is that the content sharing plugins be identifiable and easy to locate. If they are within the space of where your content is, it’ll be easier for them to share it. The goal should be to allow your customers to share your content with ease. Social sharing has become increasingly popular and it helps you get your content syndicated multiple times. Of course, the content you create needs to be valuable and worthy of sharing in the first place. Websites like SUMO provide great marketing tools to help you set up content sharing plugins for your website. When it comes to structuring partnerships it's important you consider who or which business may potentially create synergies between your products and services along with theirs. Remember, the goal for partnerships is to ideally provide more added value to your customers. Thus a strong partnership can help you do more with your business. When it comes to forming partnerships, you need to think about sharing similar values and long-term objectives. This way, the aligned interests will help you grow together while making a great impact in terms of the collective effort of your brands. Customers who see strong partnerships are more confident about shopping with you and will feel more empowered with your business as a whole. The long-term benefits of strong partnerships is that it creates new opportunities in different areas and opens new doors to other possibilities as well. 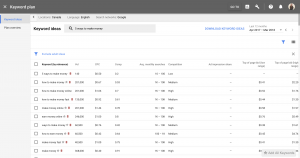 Google’s keyword planner is largely used by advertisers and search engine experts to identify trends and opportunities on Google’s search platform. Typically, the data provided will give you a historical idea of how many searches happen per month based on certain phrases or keywords. Overtime, this data was used to aggressively advertise where the bidding prices would increase. This in turn would make it competitively hard to advertise for small to medium sized businesses. Seeing this trend, many businesses turned to search engine experts to rank their websites based on organic listings. Hence, Google’s keyword planner may be used to find unique opportunities in search traffic as well as upcoming trends based on historical data. Additionally, you can identify a group of potential keywords to see whether or not if it relates to your business and how you can create content around them to service those clients who are searching for those specific terms. Having a reliable hosting plan can help you improve search rankings and keep your visitors on your website longer thanks to the site’s load speed. Although, these are only two of the many factors for having a reliable hosting plan, let’s not forget about pricing. BLUEHOST is a cheaper and reliable alternative to the other hosting companies out there. Their prices are extremely affordable and are known to have reliable servers to host your website. If you’re starting a business and are looking for reliability and speed, BlueHost may be the ideal fit. SITEGROUND offers great plans for hosting as well. Their basic package starts at $3.95 which comes with a variety of benefits including a free SSL (Secured Socket Layer) certificate for added layer of security for your site. For starters, this plan may be a good option. You can learn more about SiteGround by going to their website. Affiliate programs have been around for a while. The idea and philosophy behind affiliate programs are great, especially to reach vast audiences across various online platforms. There are hundreds of affiliates out there that are promoting other people’s products and services. If you offer a product or service, then a well organized affiliate program may be ideal. The goal is to offer competitive compensation to your affiliates while leveraging their marketing efforts. This in turn would give you a cost effective way of driving traffic to your website and converting those leads into paid customers, since affiliates do all the heavy lifting in terms of traffic generation. Another important component of an affiliate program is that it adds value to your promoters as they are constantly looking to provide their leads with great products or services as well. Once you learn which affiliates are performing better than others, you may work out a separate superior compensation agreement with them to entice them further as well as to reward them for their hard work. Local directories can be found everywhere. From Google places to Yelp, it’s where customers go to see reviews and read about other customers complaints or compliments. If you’re operating your business locally, it’s crucial that you sign up for local directories and register your information properly. There are benefits of local registrations. These include the ability to collect reviews and understand the customer’s experiences. It also allows you to be more easily found in those directories based on specific keywords in your niche. You are also able to provide your business hours as well as your pricing model on some of these directories. Search engines also tend to rank your website higher depending on your local area and how often you have been referenced in local directories. The more reviews, shares and information that the search engines can find about your business in those directories, the more likely that your business will come up when a customer is searching for a local related search phrase or term. In essence, this tip can be considered bartering. When considering bartering, it’s important to identify what you will be able to offer and what you are willing to take in exchange. It obviously has to make sense to you and to the other business as well. Bartering actually helps accomplish more if the exchange is mutually beneficial. Sometimes, it’s a question of providing a much needed service to another, where you may actually need their expertise in exchange as well. You never know who or what you will need. Generally, the other side has to be open and willing to accept a barter instead of cash. It is not that difficult to do if you can structure a winning deal. Think strategically and look for businesses or people that can benefit you and in return you can benefit them with your services. There is a lot you can do just with Pinterest no matter what niche you are in. Weather its Camping, Constructions, Financial, Health and Beauty, Web and Graphic, User Experience. 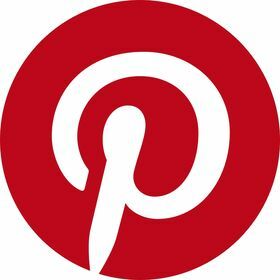 There are a lot of things you can do on Pinterest, you can post pictures of beautiful photos of your products, case studies, infographics, quotes and a lot more. This may not be suitable for barely some products or services, but it is mostly useful for all of us. As we all know the future is video. Instagram is great for sharing visuals, short clips of videos and stories. Engage with your audience leveraging the power of visuals. Hashtag your stories to get new audience and generate a following. Create series and lead your followers to your blog or website. Producthunt is a great way to share your product or services with the market. Create a quiz or survey and share it on social media, forums, website. 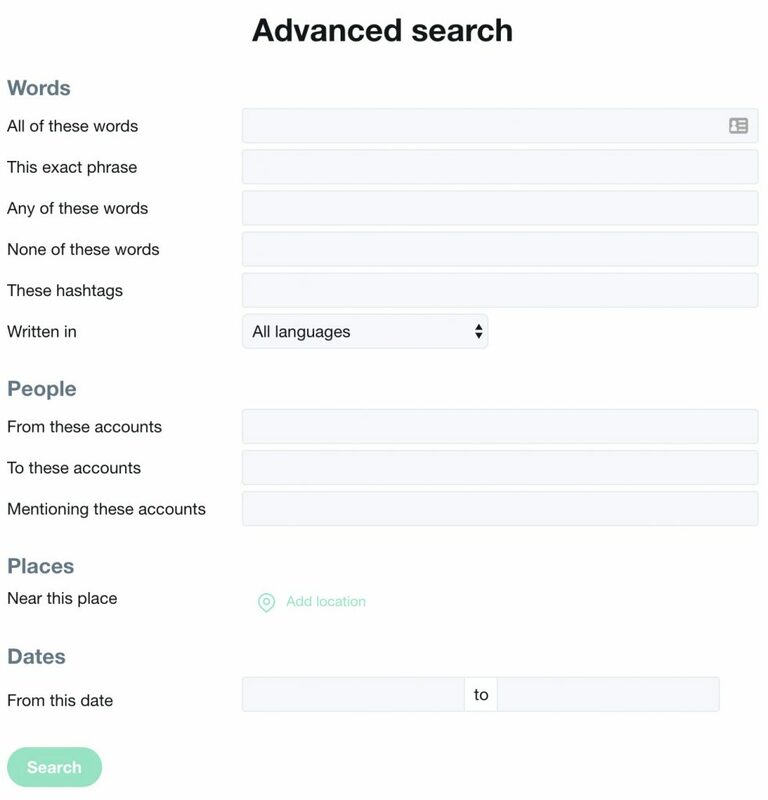 Leverage the twitter search and learn more about your target audience, what they are talking about, who they are following, what questions they have, their interests etc, what the hot topics etc. LinkedIn Groups are a great way to connect with professionals and share ideas and start conversations. From my point of view LinkedIn and Facebook conversations on groups has almost the same concept.